Another Happy Update! 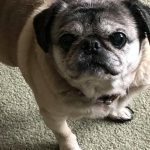 Miss Pugs has Found her perfect new home. New owners passed the home visit with flying colours! Miss Pugs was a bit of a challenge as she had many issues related to past life style. She was over weight, had joint and Dental issue’s. Her new owners will have the time and commitment to exercise her regularly, provide the correct diet, keep on top of her oral hygiene and give her all the love and attention she needs. 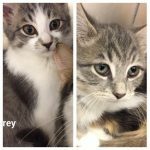 Aubrey and Maggie came to Fixed Fur a Life with their mother and siblings. Mom was an outdoor stray. Mom, Aubrey and Maggie were Spayed. 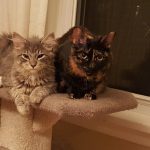 Aubrey and Maggie have been adopted together. 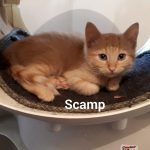 Scamp‘s Mother came to Fixed a Fur Life as a pregnant stray. His mom has now been spayed and Scamp neutered. Now adopted! Received an update for Maggie and Huey. Two more of our kitten Alumni who would have become an outdoor statistic. Shown here Fixed and living a warm and Happy life indoors! 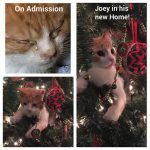 Joey came to Fixed Fur Life with his siblings who were trying to survive out in the cold. All suffering from a severe upper respiratory infection. All have spent many weeks receiving treatment for their URI. Joey has now been adopted. Shown here on Admission and later in his new home. Update on Callie and Sookie. Both were pregnant Strays who came to us with kittens. Adopted into the same family at different times. 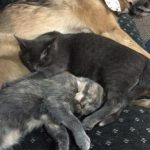 They bonded and are living happily indoors and getting boat loads of Love! Delilah came to Fixed Fur Life with her son Sampson. They were living outside. Sampson her son had a large Umbilical hernia that required surgery. Surgery was done to correct. 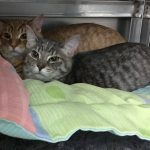 Both are now Spayed and Neutered and have been successfully adopted ! 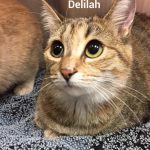 Sampson came to Fixed Fur Life with his mom Delilah were living outdoors as Strays. 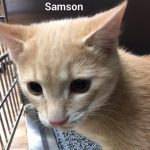 On arrival Sampson was suffering from a very large umbilical hernia. 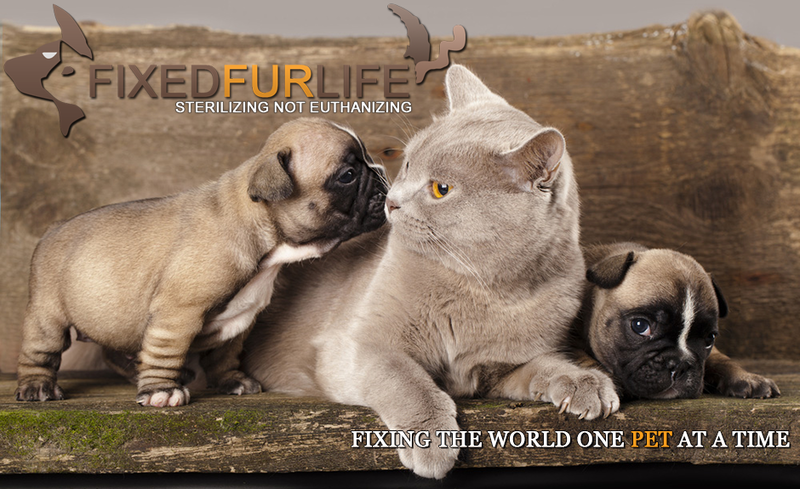 Surgery was done to correct as well as a neuter. Happy to report he and his mom have been adopted! Update on Victoria and Beckham! Victoria and Beckham survived all odds. 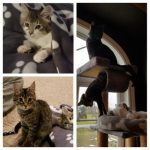 They came to us many months ago as 5 week old kittens severely dehydrated and sick with an upper respiratory infection. As if that wasn't enough they each had a broken leg. We received an update recently. As they were strongly bonded we found a home for them together. 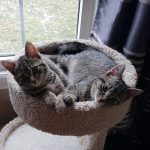 They have grown like weeds and remain bonded, loved and safe in their forever Home! They also LOVE their new canine sibling! 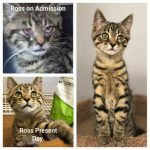 Ross came to Fixed Fur Life with his siblings who were trying to survive out in the cold. All suffering from a severe upper respiratory infection. All have spent many weeks receiving treatment for their URI. Ross has now been adopted. Shown here on Admission and later in his new home. Bowie (formerly Gabriel) and Gracie came from different situations. Both were strays that we took in at separate times. 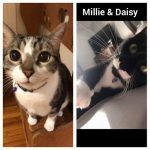 Adopted into the same household they quickly became friends and are living happily in their new home! 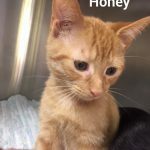 Honey came to Fixed Fur Life with her four siblings. Mom was an outdoor stray. We Spayed Honey before she went onto her new home. Poppy came to Fixed Fur Life as a stray with an injured leg. X rays revealed she had sustained a traumatic pull of her arm thus leaving her unable to use. Overnight she bagged up with milk and we then realized she was a nursing mother. Back out we went and over a period of a few days we located her 5 babies with her help in an old abandoned car off of Hwy 2. After months of rehab Poppy has regained a small amount of mobility in her right front arm. 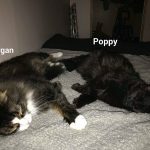 Poppy was then Spayed and she is shown here in her new home with her new best friend Morgan also a FFL Alumni. Update on Nick and Noel. They came to Fixed a Fur Life after they had been found under a shed trying to fend for themselves in an area prevalent with coyotes. Adopted together and shown here very settled in their new home. Sophie and Garfield’s Mom was a pregnant Stray. They are now spayed and neutered. 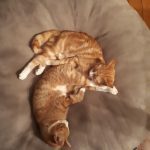 They were adopted together and are shown here very settled into their new home. OC and Pixie were rescued with their mom from outside. Mom has been spayed. 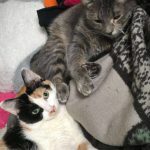 OC and Pixie are now Spayed and Neutered have also been adopted and have gone onto a new life happily safe indoors. Winnie and Juliet’s Mom was a pregnant Stray. Mom is now Spayed. 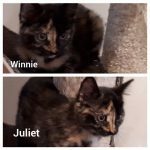 Winnie and Juliet have been adopted. Topsy came to Fixed Fur Life with her four siblings. Mom was an outdoor stray. 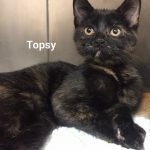 We Spayed Topsy before she went onto her new home. 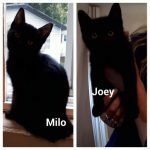 Milo and Joey’s Mom was a pregnant Stray. She is now Spayed and Milo and Joey have been adopted.